We appreciate everyone who came to the event, provided or purchased auction items, sponsored the event, or volunteered their time. All these contributions made the gala a wonderful and successful evening. We raised a net profit of $70,713.51. All proceeds will directly benefit our clients by enhancing our current family-based services, programs, and operations, including financial assistance, financial counseling, as well as interactive classes addressing subjects such as spiritual growth, cooking on a budget, and healthy relationships. 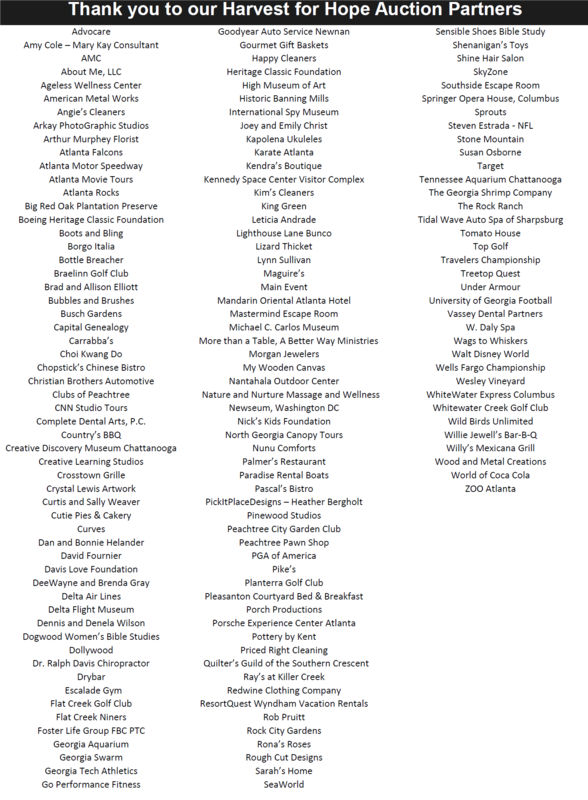 We are grateful to our Sponsors, Auction Donors and Volunteers for your commitment to our mission. Dan Helander, Voya Financial Advisors, Inc.
McMullin, Stone, & Associates, Inc.
We enjoyed having Brandon Sherman, Vice President of Fidelity Bank, as our keynote speaker at this year’s gala. Brandon shared his own experience of finding hope through the support of others after his family experienced great loss in Hurricane Katrina. Like many of the families, we serve at the Real Life Center, Brandon’s story is one of rebuilding lives and restoring hope through receiving help after the unpredictable “hurricanes” of life. Click here for a biography of our speaker.